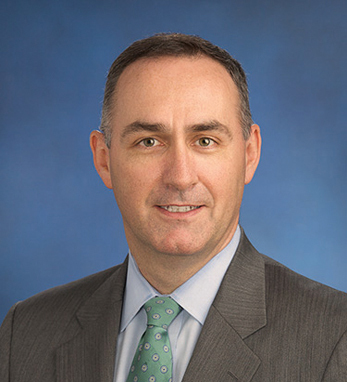 John Daly/Goldman, Sachs & Co.
John Daly is head of the Americas Equity Capital Markets Group. He joined Goldman Sachs’ Investment Banking Division in 1989, became a Managing Director in 1998 and a Partner in 2000. He has held various positions at Goldman Sachs, including responsibility for Energy and Power transactions in the Equity Capital Markets Group in New York, a three-year period in Hong Kong as co-head of Capital Markets for Asia ex-Japan, and, subsequently, co-head of the Industrial and Natural Resources Financing Group in New York. Prior to attending business school he spent 4 years as an engineer at GE. John earned an MBA from Wharton, a BAI in engineering, and a B.A. in mathematics from Trinity College Dublin. He is a member of Trinity’s Foundation Board, the Trinity School of Business Advisory Board and the Financial Services Advisory Board of Enterprise Ireland. A Clontarf native, he lives in New York City with his wife, Norah, and their four children: Claire, Grace, Jack and Harry.